I believe that the only person who can heal you is you. I am dedicated to using my skills to help you find your natural balance and teaching you to focus on pro-active self-care. Aromatherapy and Raindrop Technique Professional, Barb Free, has been researching and working with essential oils for more than 10 years. 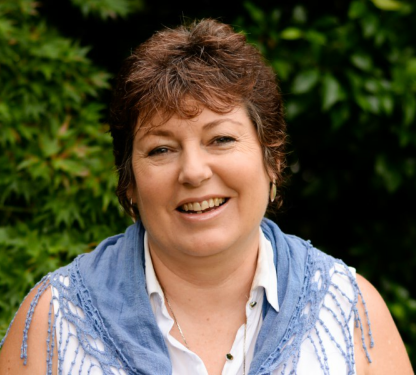 Barb is a qualified ISHA clinical aromatherapist and one of a few practicing Raindrop Technique Professionals in regional South East Queensland . In addition to sharing knowledge and experience of the benefits of using pure essential oils for every day living, Barb also teaches Aromatherapy Massage and assists with Heartworks Lomi Lomi relaxation massage. She is passionate about the purity and potency of Young Living essential oils and uses them for everything from hiccups to minor and major aches and pains for body, mind and spirit. After experiencing post-natal health challenges, and facing life long medication, she began to investigate natural alternatives. Her health is now stable and medication free.